Shannon joined Watsi on February 16th, 2016. Three years ago, Shannon became the 1798th member to automatically support a new Watsi patient every month. Since then, 3,308 more people have become monthly donors! Shannon's most recent donation traveled 8,800 miles to support Oun, a woman from Cambodia, to fund cataract surgery. Shannon has funded healthcare for 38 patients in 10 countries. 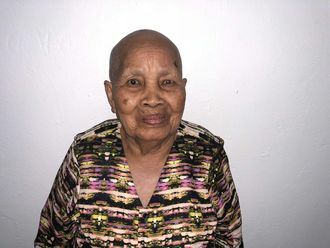 Phorn is a grandmother from Cambodia. She has a son and three grandchildren. She likes to listen to monks pray on the radio. 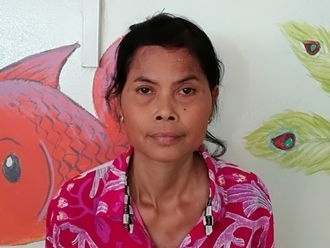 A year ago, Phorn developed a cataract in each eye, causing her blurred vision, irritation, itchiness, tearing, and photophobia. She has difficulty seeing things clearly, recognizing faces, and going anywhere outside. 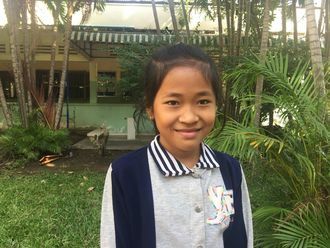 When Phorn learned about our medical partner, Children's Surgical Centre, she traveled for half an hour seeking treatment. On April 25, doctors will perform a phacoemulsification surgery and an intraocular lens implant in each eye. After recovery, she will be able to see clearly. Now, she needs help to fund this $398 procedure. 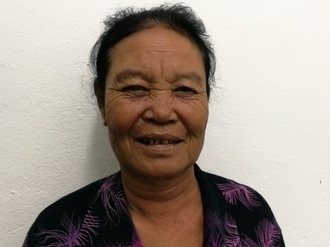 She says, "I hope my vision is restored so I can easily complete my work and go to the local pagoda on my own."